2. 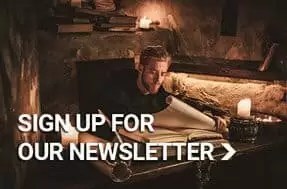 To whom is this document addressed? 33. Who is my brother? 1. From the first centuries of Christianity, consecrated life has been composed predominantly of lay members, an expression of the yearning of men and women to live the Gospel with the radicalism proposed to all followers of Jesus. Even today lay members of the consecrated life – men and women – form the great majority. “Brother” is the name traditionally given to the male lay religious1 in the Church since the beginning of consecrated life. The title does not belong to him exclusively, of course, but it represents a significant way of being in the ecclesial community in which he is the prophetic memory of Jesus-Brother, who told his followers: “And you are all brothers” (Mt 23:8)2. This saying of Jesus is passed on to us by Matthew in a context in which Jesus speaks out against the hypocrisy of those who used religion to gain privileges and glory in the eyes of others. But the value of this logion goes beyond the immediate context. The title of brother/sister underlines the common dignity and fundamental equality of all believers. Brothers are sons in the Son of the same heavenly Father (cf. Mt 5:45), called upon to form a universal brotherhood in Christ, the firstborn of many brothers (cf. Rom 8:29). Although in this Instruction we speak directly of the life and mission of the Religious Brother, we have in mind that many of the issues discussed here, such as participation in the mystery of communion, ecclesial fraternity or the prophetic role of witness and service, are applicable to both the life and mission of Religious Brothers as well as that of consecrated women. The Religious Brother and Sister, by participating in the saving mystery of Christ and the Church, are permanent reminders for all Christian people of the importance of the total gift of self to God and a reminder that the mission of the Church, respecting the various vocations and ministries within it, is one and is shared by all. However, we recognize that the vocation of the Religious Brother and Sister is not always well understood and appreciated within the Church. This reflection aspires to contribute to the appreciation of the richness of the different vocations, especially within male consecrated life, and seeks to shed light on the identity of the Religious Brother and the value and necessity of this vocation. To whom is this document addressed? 2. Brothers or lay religious are now a fifth of all male religious in the Church. Some belong to clerical institutes; others to mixed institutes. Others are integrated in lay institutes, also called Institutes of Religious Brothers3, whose members are all or mostly lay Religious. This reflection is directed to all of them, in the hope that it serves to affirm them in their vocation. Given the similarities between the female religious vocation and that of the Religious Brother, what is stated here will be readily applicable to Religious Sisters. 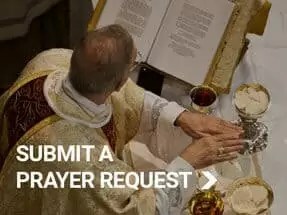 This document is also directed to the laity, religious priests, diocesan priests, bishops and all those who want to know about, appreciate and promote the vocation of the Religious Brother in the Church. 3. The Apostolic Exhortation Vita Consecrata of John Paul II serves as a framework for our specific reflection on the Religious Brother, and we refer to it for all those general traits that make up the identity of consecrated life. We aim to propose here only what is specific or peculiar to this vocation, although references to consecrated life in general are inevitable, as well as references to the documents which since the Second Vatican Council have presented it within an ecclesiology of communion4. Many of the characteristics deemed formerly as specific or even exclusive to consecrated life are considered today as belonging to the common treasure of the Church and are proposed for all the faithful. Religious today are challenged to recognize themselves in what, though being held in common, they live in such a particular way that it becomes, through their lives, a sign for everyone. 4. Firstly we will introduce the Religious Brother within the Church-Communion, as part of the one Chosen People, in which each one is called to radiate the richness of his particular vocation. Then, following the three dimensions within which the Church-Communion presents itself5, we will develop the identity of the Brother as a mystery of communion for mission. At the center of this triple perspective lies the heart of the identity of the Religious Brother, namely fraternity, which is a gift that is received (mystery), a gift that is shared (communion) and a gift that is given away (mission). Finally, we will propose some guidelines so that in every part of our world, in every community, each Religious Brother may respond to this question: How can we be Brothers today? 5. The renewal brought about by the Second Vatican Council, through the promptings of the Spirit of Pentecost, has illuminated the Church to the core of its very being, revealed as mystery of communion6. That mystery is the divine plan for the salvation of humanity7, unfolding in a story of covenant. The source of this mystery is not, therefore, in the Church itself but in the Trinity, in the communion of the Son with the Father and in the gift of the Holy Spirit. This communion is the model, source and goal of the communion of Christians with Christ; and from it is born the communion of Christians among themselves8. Consecrated life, which “is at the very heart of the Church as a decisive element for her mission”9, must look into that heart to discover and understand itself. The Religious Brother finds therein the profound meaning of his own vocation. In this contemplation he is inspired by the figure of the Servant of Yahweh, described by Isaiah, to whom God says: “I have made you a covenant of the people” (Is 42:6). That figure is perfectly reflected in Jesus of Nazareth, who sealed with his blood the new covenant and calls those who believe in him to continue the task entrusted to the servant, to be a covenant of the people. The mediating identity of the Servant of Yahweh has a personal significance as well as a communitarian one, as it relates to the remnant of Israel, the messianic people, which the Council says is “established by Christ as a communion of life, charity and truth, it is also used by Him as an instrument for the redemption of all, and is sent forth into the whole world as the light of the world and the salt of the earth. (cf. Mt 5:13-16)10“. Being part of this people and its mission, the Religious Brother lives the call to be memory of the covenant by his consecration to God in a fraternal life in community for mission11. Thus he makes more visible the communion that all God’s people are called to embody. 6. Encouraged by the Spirit, the Church today deepens its awareness of being the People of God, where all have equal dignity received in Baptism12, all have a common vocation to holiness13, and all share responsibility for the mission of evangelization14. Each one according to their vocation, their charism and their ministry becomes a sign for all the others15. Religious life is born and inserted into this consecrated people, and within it lay religious life with a new and special consecration which develops and deepens baptismal consecration16. Lay religious life participates in “a special form of sharing in Christ’s prophetic office, which the Holy Spirit communicates to the whole People of God”17; it lives its particular charism in relationship and continuity with other ecclesial charisms and it integrates itself into the mission of the Church which is shared with the other believers. Religious Brothers find their natural habitat in this context of communion, by way of belonging to the People of God, and they are also united with all those who, by religious consecration, reflect the essence of the Church, the mystery of communion. In it they keep alive the obligation of brotherhood as a confession of the Trinity18. The bonds of communion of the Religious Brother extend beyond the boundaries of the Church, because he is driven by the same “universal character that distinguishes the People of God”19. The vocation of the Brother is part of the answer that God gives to the absence of brotherhood which is wounding the world today. At the root of a Brother’s vocation lies a profound experience of solidarity that essentially matches that of Moses before the burning bush: he discovers himself as the eyes, ears and heart of God, the God who sees the oppression of his people, who hears their cry, feels their anguish and comes down to liberate them. In this intimate experience, the Brother hears the call: “Come, I am sending you to Pharaoh to bring my people out of Egypt.” (cf. Ex 3:7-10). Therefore, the dimension of communion is closely linked in the Brother to a fine sensitivity for everything that affects the least privileged of people; those oppressed by various forms of injustice, abandoned on the margins of history and progress, those who, ultimately, are less likely to experience the good news of God’s love in their lives. 7. The first ministry that Brothers develop in the Church as religious is “to remind the baptized of the fundamental values of the Gospel” and “the need to respond with holiness of life to the love of God poured into their hearts by the Holy Spirit (cf. Rom 5:5)”20. All other services and ministries offered by the various forms of consecrated life make sense only when rooted in this first ministry. This purpose, of being a sign, recognized by the Second Vatican Council21 and repeatedly underlined in the Apostolic Exhortation Vita Consecrata22, is essential to consecrated life and determines its orientation: it does not exist “for itself”, but as a part of the ecclesial community. Religious consecration itself, which presents life as a witness to the absoluteness of God23, and also as a process of openness to God and people in the light of the Gospel, is a call to all the faithful, an invitation to each person to orient his or her own life along a radical path, in different situations and states of life, open to the gifts and invitations of the Spirit24. The fraternity of Religious Brothers is an encouragement for the whole Church, because it makes present the Gospel value of fraternal relationships of equality in the face of the temptation to dominate, to search for the best place or to exercise authority as power: “You, however, must not allow yourselves to be called Rabbi, for you have only one Master, and you are all brothers. You must call no one on earth your father, since you have only one Father who is in heaven. Nor must you allow yourselves to be called teachers, for you have only one Teacher, the Christ” (Mt 23:8-10). Communion is proposed today in the Church as a particularly pressing challenge in the new millennium, so that it may be transformed into the home and school of communion25. Brothers are active inhabitants in this home and are both students and teachers in this school; that is why they make their own the urgency that the Church proposes for itself, to live and promote a spirituality of communion26. 8. Relationships in the Church-Communion are established from what unites rather than what divides. Today we are becoming conscious once again of our common heritage. It is a great treasure that makes us all fundamentally equal, in common dignity and in common rights and duties. All of us are born in faith and we join the Church as baptized people. In this common framework we are called to perform certain duties in the service of the ecclesial community, to live in a significant or prophetic way certain characteristics that belong to the common heritage, and to serve the common mission through concrete charisms and ministries. This fundamental dimension never abandons us: lay Christians live it in an explicitly lay way of life. For those called to the priesthood or consecrated life, the laity are a constant point of reference that reminds them for whom they are signs of consecration and with whom they exercise their ministry. The Religious Brother, when rooted among the Christian people, receives the witness and support of other vocations. He is called to live in an integral and prophetic way the mystery of Christ and the Church within consecrated life, as a service to the entire People of God27. Over the centuries, this goal, so essential to consecrated life, has run the risk of taking second place in male religious life, in favor of priestly functions. In order to restore it to its own proper place, throughout history the Spirit has raised up founders who placed emphasis on the lay character of their foundations. 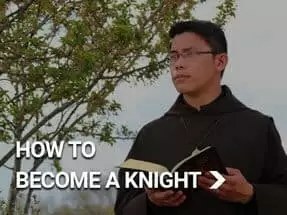 It happened in the monastic life of St. Benedict, whose brother monks were the evangelizers of Europe; also in the way of life proposed by St. Francis, whose Friars Minor were born as a mixed Order, formed by lay people and priests. In both these cases, the tendency to priesthood was subsequently imposed on the initial foundational project. In the 16th and 17th centuries, new founders revitalized the project of lay religious life, this time developing it in communities that, in addition to giving a special place to the fraternal relationship between their members, identified themselves with and were shaped by the social needs that they intended to address. They situated their houses in or close to the situations of need, poverty or weakness that they would evangelize; and in doing so, from within, they were embodying and making visible God’s saving love. These consecrated fraternities gave rise to the Institutes of Religious Brothers and Sisters. St. John of God and St. John Baptist de la Salle, as well as St. Angela Medici and Mary Ward on the female side, among others, were instruments of the Spirit, introducing in the Church these new founding charisms that would multiply especially during the 19th century. Religious Brothers, whether in monastic communities, convents, communities of apostolic life or fraternities as just described, have emphasized the dignity of services and ministries related to the multiple needs of human beings. They carry out these ministries from the unity of their consecration, making them the center of their experience of God and performing them with quality and competence. Sacramental life. Religious consecration has its roots firmly planted in Baptism and the other sacraments of initiation. From them, the Brother experiences the filial impulse towards the Father, celebrates the new life that he has received from the Risen Lord, regards himself part of Jesus Christ, Priest, Prophet and King, and is guided by the Holy Spirit. Personal integration of lay and consecrated identity. The Brother unites both these aspects in his own person. Thus he maintains the unity between the profane and the sacred, a unity which has become more evident since the human incarnation of the Son of God. Sign of God’s presence in secular realities. The Brother assumes ecclesial ministries with his Brothers in community, with other members of his congregation and with other believers who participate in the same founding charism. Thus he seeks and points to God in the secular realities of culture, science, human health, the workplace, and the care of the weak and disadvantaged. Similarly, he seeks and points to the human being, man and woman, “whole and entire, body and soul, heart and conscience, mind and will”, convinced that “the human person deserves to be preserved; human society deserves to be renewed”31. Fraternal life in community. The Brother deepens fraternal communion in a common life and ministry as his way of being in relationships outside the community. Sustained by the core experience of his vocation, that of experiencing himself with Jesus as a beloved son of the Father, he lives the new commandment of the Lord as the center of his life and as the first commitment of his religious consecration. A shared charism. The Brother becomes aware of the wealth contained in his own foundational charism, and he shares it with other lay believers who could live it from other ways of life32. He accepts being an instrument of the Holy Spirit in the transmission of the charism and takes responsibility for being a living memory of the founder. Thus the charism retains its Gospel richness for the building up of the Church, the good of people and meeting the needs of the world33. While developing the common treasure, the Religious Brother is aware of himself as a brother of the Christian people and hears within himself the Lord’s call to his servant, “I have chosen you as a covenant of the people” (Is 42:6). This call gives meaning to everything that he lives and does, it converts him and makes him a prophet among his Brothers, and, by virtue of it, he lives his consecration in a missionary and evangelizing community. 11. “I especially ask Christians in communities throughout the world to offer a radiant and attractive witness of fraternal communion. Let everyone admire how you care for one another, and how you encourage and accompany one another: “It is by your love of one another that everyone will recognize that you are my disciples” (Jn 13:35)”34. This petition of Pope Francis to the entire Christian people highlights the special place that brotherhood has within the whole of the shared Christian heritage. It is the pearl that Religious Brothers cultivate with special care. In this way they are, for the Church community, a prophetic memory of its origin and an encouragement to return to it. The Acts of the Apostles present the early Church as a community of disciples whose mission is to proclaim salvation and be witnesses to the Risen One, and whose strength is found in the Word, in the breaking of bread, in prayer and in being brothers to each other. The disciples are brothers; this is the sign that they are disciples of Jesus. But they are brothers not so much by personal choice but because they have been called. They are gathered together before being sent out in mission. Brotherhood is a source of strength for the mission, but it relies upon another force: the Holy Spirit. The Spirit descends on the brothers gathered in prayer on the day of Pentecost and sends them out to be witnesses (Acts 2:1ff). On the brothers reunited in prayer once again, supporting each other after the capture and release of Peter and John, the Spirit comes and fills them with the strength to preach the Word of God with courage (Acts 4:23ff). The narrative of the Acts of the Apostles shows us how the community of disciples becomes increasingly aware that fraternity and mission require each other, and that both are developed by the prompting or demand of the Spirit. This is the dynamic that is established: the cultivation of brotherhood creates a greater sense of mission, and the development of the mission produces brotherhood. With renewed commitment the Holy Spirit strengthens and renews that message in the Church, especially within consecrated life. For the same reason the Spirit fosters the presence of Religious Brothers in clerical congregations. Their presence is important, not only for their contribution to meeting material and other needs, but above all because, in these congregations, Religious Brothers are a permanent reminder of “the fundamental dimension of brotherhood in Christ”35 which all members should strengthen. For the same reason, the Spirit also fosters Institutes of Religious Brothers, along with Institutes of Sisters. All of them constantly evoke in the Church the supreme values of fraternity and free, boundless generosity as eminent expressions of communion. The name “Brothers” positively designates what these Religious assume as a fundamental mission in their lives: “These Religious are called to be brothers of Christ, deeply united with Him, “the firstborn among many brothers” (Rom. 8:29); brothers to one another in mutual love and working together in the Church in the same service of what is good; brothers to everyone in their witness to Christ’s love for all, especially the lowliest, the neediest; brothers for a greater brotherhood in the Church”36. 12. To deepen our understanding of the identity of the Brother, we will allow ourselves to be enlightened as we contemplate one of the most evocative icons of the four Gospels: Jesus washing the feet of his disciples. The story that the evangelist John offers us regarding the meal on Holy Thursday begins with the solemn and intimate statement: “Jesus… having loved those who were his own who in the world, loved them to the end” (Jn 13:1). The Last Supper of Jesus with his disciples takes place in an context of commissioning: Jesus urges his disciples and, through them, the whole Church, to continue the ministry of salvation which reaches its culmination in the death of Jesus on the cross, although he had developed it during his life, as reflected in his answer to John’s disciples, “Go back and tell John what you have seen and heard: the blind see again, the lame walk, lepers are cleansed, the deaf hear, the dead are raised to life and the good news is proclaimed to the poor” (Lk. 7:22). Thus the Church experiences itself being constituted as a ministerial people commissioned by Jesus. The evangelists represent the institution of the ecclesial ministry through two icons. The three Synoptics choose the icon of Jesus breaking and sharing his Body and Blood with his disciples, while requiring of them: “Do this in memory of me” (Lk 22:19). Differently, the Gospel of John presents us with the icon of Jesus with the towel tied around his waist, washing the feet of his disciples, and making a request of them later: “I have given you an example so that you may copy what I have done to you” (Jn 13:14-15). In the consciousness of the Church, it is in the light of this icon of the washing of the feet that the other icon, in which Jesus shares out his Body and his Blood, finds its full meaning. That is to say, the commandment of brotherly love gives us the key to understanding the meaning of the Eucharist in the Church. This is reflected in the liturgy of Holy Thursday. This testimony which the Church receives from Jesus points to two aspects or dimensions of the ministry of salvation which unfold in the Church through diverse specific ministries. On the one hand, through the ministerial priesthood, instituted by a specific sacrament, the Church guarantees its fidelity to the memory of the surrender of Jesus, his death and resurrection, and makes it present in the Eucharist. On the other hand, the Holy Spirit stirs among the faithful the memory of Jesus showing the attitude of service, and the urgency of his mandate: “by this everyone will recognize you as my disciples” (Jn 13:35). Because of this, many charisms are raised up among the faithful to develop communion through fraternal service. That is how salvation comes to the poorest: the blind see, the lame walk, prisoners are released, youth are educated, the sick and the elderly are taken care of. Brotherly love is made real in numerous services, many of which become institutionalized or recognized as ecclesial ministries37. Consecrated life arises in the Church in response to this call of the Spirit to faithfully keep alive the memory of the love of Christ who loved His own to the end38. This response is expressed in many forms, but at the deepest level there is always the option of “a radical gift of self for love of the Lord Jesus and, in Him, of every member of the human family”39. The vocation and identity of the Religious Brother acquire meaning in this dynamic, which is both inclusive of and complementary to the various ministries, but which also needs and promotes prophetic signs. 13. What is the origin of the vocation of the Brother if not the experience of God’s love? “We have known the love God has for us and put our faith in it” (1 Jn 4:16). That is also the source of every Christian vocation. “Being Christian is not the result of an ethical choice or a lofty idea, but the encounter with an event, a person, which gives life a new horizon and a decisive direction”40. The radical option proposed by the Old Testament for the people of Israel, and each Israelite in particular, is found in this context of the encounter between the believer and God, God who comes to meet the People with whom He has made a covenant. This is a total consecration of life: “Love the Lord your God with all your heart, with all your soul and with all your strength” (Dt. 6:4-5). Jesus reaffirms this requirement, but unites it with this one: “You shall love your neighbor as yourself” (Lv 19:18). From then on, both form one indivisible commandment (cf. Mk 12:29-31). “And since God has first loved us (cf. 1 Jn 4: 10), love is now no longer a mere ‘command’; it is a response to the gift of love with which God comes to meet us”41. The vocation of the Brother is not only intended to be that of a recipient of God’s love, but also of being a witness and mediator of that same gift, of the project of communion which God has for humanity and which is based in the Trinitarian communion. This project, the Mystery which has been revealed to us in Christ, seeks to establish a horizontal relationship between God and humankind at the very heart of humanity, precisely where God wants to be present. Relationships of affiliation are thus transformed simultaneously into brotherly relationships. For that reason, saying “brother” is like saying “mediator of God’s love”, the God who “so loved the world that he gave his only Son, so that everyone who believes in Him may have eternal life” (Jn 3:16). To be a “Brother” is also to be a mediator of the love of the Son, the Mediator par excellence, who “loved them to the end” (Jn 13:1) and asked us to love one another as He loved us (Jn 13:34). In this world that God loves so much, the Brother cannot hide. On the contrary, he experiences the impulse to go out to encounter and embrace God. In contemplating the saving work of God, the Brother discovers himself to be an instrument which God wants to use to make the covenant, God’s love and concern for the weakest, more visible. The Brother is aware that all creation is imbued with the love and presence of God and that especially whatever affects the human person is part of God’s saving plan. Thus is born in the Brother and the community of Brothers the commitment to quality professional service in every task, no matter how profane it may seem. 14. There is nothing greater than baptismal consecration. Baptism “regenerates us in the life of the Son of God; unites us to Christ and to his Body, the Church; and anoints us in the Holy Spirit, making us spiritual temples”42. The whole existence of a Christian must be one of being in a process of integration into the plan of communion of which Baptism is a sign, taking on the baptismal commitment according to the vocation that each one has received from God. The above statement risks not being understood if we read it outside the great story of the history of salvation, within which it comes to life and within which, through Baptism, each Christian finds his or her own unique place. This story tells how the Trinity transmits its own communion in the mission of the salvation of humanity, how it proposes the covenant in various ways, and commits itself to it to the extreme in the incarnation of the Son. This story of salvation continues thanks to the Spirit, who brings together and builds up the Church with his gifts, so that, through her, it can continue saving humanity. We all participate in this great story, because “God calls the individual in Jesus Christ, each one personally by name”43. Each is actively involved and each one’s influence on others is crucial. Each member of the Church is “entrusted with a unique task which cannot be done by another and which is to be fulfilled for the good of all”44. Each one, thanks to the anointing received in Baptism and Confirmation, can repeat the words of Jesus: “The Spirit of the Lord is upon me; for he has anointed me to bring the good news to the poor. He has sent me to proclaim liberty to the captives, sight to the blind, and to let the oppressed go free, to proclaim a year of favor from the Lord” (Lk 4:18-19). Thus, the “baptized share in the same mission of Jesus, the Christ, the Saviour-Messiah.”45. 15. It is in this personal story, which begins in Baptism, that religious consecration is inserted and finds its full meaning. This is “a special and fruitful deepening” of baptismal consecration, insofar as it expresses a vocation that involves “a specific gift of the Holy Spirit”46. This gift is experienced as a desire to proclaim with one’s very life, to the Church community and to the world, what Jesus announced in the synagogue of Nazareth: “Today this scripture is fulfilled before you” (Lk 4:21). That desire, which characterizes the life of the prophet, is accompanied by a heartfelt interior invitation to demonstrate, through voluntary celibacy, embraced in love and lived in fraternal community, the new world revealed in Jesus Christ, the fruitfulness of his covenant with the Church beyond flesh and blood. Each religious consecration expresses to the faithful that the mystery of Christ the Saviour is being fulfilled here today, in this world and through the Church today. In every time and place consecrated persons show their contemporaries the traits of Jesus with which he himself had made clear that the mystery of the Kingdom of God had broken into history. Visibility is achieved by a way of being present which reveals the charism of each religious family in the here and now. Therefore consecrated people should frequently ask themselves how to be witnesses of the Lord today. What kind of presence should we live so that the Lord Jesus can be seen, experienced, by people today? Consecrated life is called to be “a living memorial of Jesus’ way of living and acting as the Incarnate Word in relation to the Father and in relation to the brethren”47. In particular, the Religious Brother, and also the Religious Sister, make visible in the Church the face of brother Christ, “firstborn among many brothers” (Rom 8:29), creator of a new brotherhood which he established with his teaching and with his life. The Religious Brother, living his lay state through a special consecration, is witness to the value of the common priesthood received in Baptism and Confirmation: “He has made us a kingdom of priests to serve his God and Father” (Apoc 1:5,6). His religious consecration is in itself an exercise in the fullness of the priesthood of all the baptized. The essential act of this priesthood is the offering of the spiritual sacrifice by which the Christian places himself or herself in God’s hands “as a living sacrifice” (Rom 12:1), in response to His love and for His glory. The Brother lives in communion with the Father, source of all life, through the total offering of his life to God in an attitude of praise and worship. Rooting his life deeply in God, the Brother consecrates all creation, recognizing the presence of God and the Spirit’s action in creation, in cultures and in daily events. Because he recognizes this active presence, he can proclaim it to his contemporaries. This ability is the fruit of an ongoing process of openness to God through consecration, that is, through the daily experience of his baptismal priesthood. 17. Religious consecration helps the Brother to participate more consciously in the fraternal dimension which characterizes the priesthood of Christ. He “had to become completely like his brothers, to be a compassionate and trustworthy high priest” (Heb 2:17,18). To clothe us in his divine sonship, Jesus Christ first of all became brother, shared our flesh and blood and was in solidarity with the sufferings of his brothers and sisters. This is the title Jesus gives his disciples after his Resurrection, and Mary Magdalene is responsible for communicating it: “Go to my brothers, and tell them: I am ascending to my Father and your Father” (Jn 20:17). In the fraternal community which supports him, the Religious Brother experiences the mystery of the Risen Jesus as a call and a sending forth in mission. This community is a theological space49 where Jesus makes himself present among the brothers (cf. Mt 18:20) to unite them in one heart, to give them his Spirit (cf. Jn 20:22) and to send them, like Mary Magdalene, to announce that in Christ we are all brothers, sons of the same Father. Immersed in this experience, the Brother develops his baptismal priesthood through brotherhood. Through it he becomes a bridge between God and his brothers, anointed and sent by the Spirit to bring the Good News of the love and mercy of God to all, especially to the least of his brothers, the weakest members of humanity. 18. The offering of oneself is made public and is received by the Church through the profession of vows. Consecration comes before the vows, includes them and goes beyond them existentially. This statement should be understood in the light of what follows. To respond to God’s loving action which consecrates, the consecrated person offers his life to God in religious profession, makes an offering, above all, of life itself, that his life might become a sign of the primacy of God, of a life only for Him, of the covenant, of the love of God for his people. It is a commitment to love as the fundamental orientation of life. It is the bond of brotherhood in response to the gift of sonship received from God in his Son Jesus. This consecration, which unifies and integrates life, commits the person to live in the here and now of every day the sacrifice of himself in all the dimensions of his concrete existence. In this integrative dynamism the vows make sense, as a way of including, with different nuances, the whole of existence. In the history of consecrated religious, public profession has been explained in various ways, but from the 13th century it became a common tendency to express it through the evangelical counsels, which highlight the intention to conform all existence to Christ51 in three essential dimensions: chastity, poverty and obedience. The Religious Brother expresses his consecration by profession of the evangelical counsels, while at the same time aware of the unity of his life and his conformity to Christ through the central core of the Gospel, the commandment of love for God and neighbor. He lives chastity, especially, as an experience of the love of God by which he feels driven to a universal love and to become a promoter of communion through the testimony of his brotherhood52. He lives poverty as one who has received freely, in the person of Jesus, the precious pearl of the Kingdom of God. Because of it he makes himself available to build brotherhood and serve all in charity, especially the poorest. The vow of poverty opens the Brothers to each other and makes them aware that they need each other. He lives obedience, specifically, as a common search for the will of the Father, in brotherhood animated by the Spirit, with the commitment to walk together with one mind and heart53 and gladly accepting the human mediations indicated by the Rule of the Institute54. The vows thus express the commitment of the Brother to living the mystery of God, of which he has been constituted, together with his Brothers, sign and prophecy for the Church community and the world55: mystery of love, covenant and brotherhood. 19. The prophetic dimension is an essential part of the identity of the consecrated person and it is developed, firstly, by listening. This has been the experience the Servant of Yahweh: “Every morning when I wake up he makes my ear alert to listen like a disciple” (Is 50:4). Just the experience of being centered in God and imbued by his Word can guarantee the living out of this dimension in the apostolate, for “true prophecy is born of God, from friendship with him, from attentive listening to his word in the different circumstances of history”56. The ability to read deeply the signs of the times, to understand in them God’s call to work according to His plan57, to discover the presence of God in people, especially among the poor, is all the result of cultivating contemplation, which helps us to see things and people as God sees them. The spirituality of the Brother must lead him to emphasize in a special way the foundational Christian experience which the evangelist Matthew symbolically expressed as: “The veil of the Sanctuary was torn asunder” (Mt 27,51). This image suggests to us that Jesus, through his death, “has opened for us a new and living opening through the curtain, that is to say, his own flesh” (Heb 10:20) so that we can meet the Father. God’s presence is no longer exclusively in a “sacred place”. From then on “God must be worshiped in spirit and in truth” (Jn 4:24). The Brother is called to live this incarnated and unifying spirituality which facilitates encounter with God, not only by listening to the Word, in the sacraments, the liturgy and in prayer, but also in everyday life, in all of his daily tasks, in world history, in the ongoing human enterprise, in material reality, in work and technology. This spirituality is based on a profound vision of the unity of God’s plan. It is the same God and Father of our Lord Jesus Christ who created the world and who saves it. It is about bringing all of life to prayer and ensuring that prayer continues in life. 20. The three Synoptic Gospels briefly narrate a scene in which Jesus establishes a clear distinction between “his mother and brothers” in the flesh and “his mother and brothers who hear the word of God and keep it” (Lk 8:21). In the story, Jesus speaks clearly in favor of the latter. The former are outside the house, they call him from outside; the latter are gathered around Him, inside the house, listening to Him. This new category of family relationship established by Jesus is where Mary finds her true greatness and her profound significance for the Christian community. Regarding her, St. Luke says that “she treasured all these things in the intimacy of her heart, continually meditating on them” (Lk. 2:19, 51). Mary welcomes and fully lives the mystery of the love of God to the point of it becoming flesh in her. She is the bond of unity in the emerging community of brothers, which she accompanies and in which she is integrated as mother and sister; and in this prayerful brotherhood she receives the Spirit (cf. Acts 1:14; 2:1-4). Like Mary, the Religious Brother is invited to live intensely the spirituality of the Word, to have this experience of being at home around Jesus, listening to his message, and living alongside him the mystery of the Father who makes us children in the Son and brothers among ourselves and with Jesus. Like Mary, the Brother is invited to allow himself to be filled by the Spirit, to hear the Spirit within himself, crying in the depths of his heart: Abba! (Gal 4,6; Rom 8:15). This experience is the only one that can sustain his vocation. Supported and inspired by Mary, the Brother lives in his community the experience of the Father who brings the brothers together with his Son around the table of the Word, of the Eucharist and of life. With Mary, the Brother sings the greatness of God and proclaims his salvation. Because of this he feels urged to seek out and to make a place at the table of the Kingdom for those who have nothing to eat, the socially excluded and those marginalized from progress. This is the Eucharist of life which the Brother is invited to celebrate in the spirit of his baptismal priesthood, reaffirmed by his religious consecration. 21. The mystery of the communion of its very inner life which the Trinity communicates to us becomes a gift shared by the Brothers in the community. The gift received and shared will also be given away in the mission. The community of Brothers manifests in that way the universality of the brotherhood begun by Christ, for it is not based on natural bonds but on the power of the Holy Spirit, living principle of love among human beings. Authentic community life represents a living sign of the essential reality that the Brothers have to announce. The love that God has shown to humanity in Jesus Christ becomes a uniting principle for human beings among each other: “May they be one so that the world may believe” (Jn 17:21). Building on faith, the community makes real the ministry of revealing the love of the Triune God by means of the communion that reigns in it. Consecration and mission are united in the community. In the midst of it, gathered in the name of Jesus, the Brother experiences the mystery of God: the Father’s love, the life of the Risen Christ, the communion of the Holy Spirit. The Lord consecrates the Brother in the community and from there sends him out to communicate that same mystery: love, life and communion. 22. The community of Brothers is in itself a prime manifestation of the baptismal priesthood. Its life is shaped to allow the members to live the experience of being chosen by the Lord “as living stones, used in building a spiritual house, a holy priesthood to offer spiritual sacrifices pleasing to God through Jesus Christ” (1 Peter 2:5). This image from the first letter of St. Peter gives us a sense of the dynamism of a building under construction. It is a very appropriate one when referring to a religious community of Brothers called to develop the dimension of their common priesthood. The community organizes its life so as to be able to see the action of God present in its daily life and to discover there the history of salvation that is being fulfilled every day. In the same contemplation, the community discovers itself as a mediator in the saving action of God. It gives thanks, celebrates and offers itself to continue, as a useful instrument, in the history of salvation. The substance of the priestly offering of the community is the very same reality of the Brothers, with the limitations, poverty and weaknesses of each one. The Brothers build the community through the joyful gift of themselves. It is a eucharistic experience, by which they are joined to Christ in his offering to the Father, to continue his redemptive work through their community. In that celebration of life forgiveness cannot be lacking between brothers, not only as a requirement of love and a condition for strengthening the community, but as an expression of the baptismal priesthood. Thus they become mediators for one another of the grace and forgiveness which come from the Risen Jesus (cf. Jn 20:22-23). 23. “Communion represents both the source and fruit of mission”59. This statement from the post-conciliar reflection of the Church finds a visible image in the community that Brothers create. It is always a brotherhood for mission. It is not simply that the community has an apostolic outreach. The mystery of the saving God emerges as a source in the community; it is lived among the Brothers and finds expression in the Church’s mission. It returns to the community and nourishes its life from the reality experienced in the mission. Encouraged by their respective founding charisms, Institutes of Brothers create communities which are situated within the mission, in some small part of the great ecclesial mission, be they active or contemplative or mixed. The community acts as an ambassador of God’s love in the world, an instrument of salvation among those who are suffering, among the marginalized, among the lowly and the weak. It embodies the saving presence of God within human reality in need of salvation. That is why it is easy to identify it as a sign that points directly to its meaning. This is a group of brothers who strive to live in communion around Him who has gathered them, and they communicate that experience as the message of the One who sends them. The approval of the Institutes of Brothers by the Church entails, in the first place, the entrusting of the missionary task that each one carries out according to its own charism. Secondly, it recognizes that their commitment to the various human situations in which they are involved is not accidental or external to their religious life, but rather an essential part of their identity and their consecration. Beyond the specific tasks they carry out, these consecrated communities represent the Church, universal sacrament of salvation60, within society and especially alongside the poor and the suffering. It seems appropriate, then, to refer to these communities of Brothers as fraternities of service, in the sense that the ecclesial ministry61 assumed by the community of Brothers gives it its distinctive identity in the Church. In addition, the community stresses the fraternal relationship between its members and with those who participate in its mission. The ministry is not carried out by an individual but by the community. The members of a ministerial community can perform many different functions; some may even be unable to carry out any outside task due to illness or age. The ministry is not identified with any particular task. It is the whole community which carries it out through the various services of its members, including that of prayer, the offering of their suffering by the sick, and solidarity with one another. The entire community is responsible for the mission that the Church has entrusted to it. Brotherhood in service has been a fundamental contribution of Religious Institutes of Brothers to consecrated life and to the Church. Through brotherhood those Institutes underline the indissoluble bond between communion and mission, the essential role of brotherly love as the central core of evangelization in its full magnitude and complexity, the reality of the action of the Spirit and the seeds of the Word62 present, in some way, in all peoples and cultures. 24. Common life, an essential characteristic of the religious life of Brothers, is intended to strongly encourage brotherly communion, but fraternal living does not automatically become a reality through the observance of the rules governing common life63. While it is true that the structures are necessary, community among Brothers is expressed mainly through their attitudes. They come together to participate more fully in the life and mission of Jesus, to give witness to brotherhood and sonship to which all the faithful are called. Thus, the community is, for Brothers, an experience more than a place; or better still, the Brothers live together, gather in a place, to deeply develop that experience. In that way they are responding to the call to be experts in communion64, effective signs of the possibility of living deeper relationships rooted in the love of Christ. Mutual love is the hallmark of Christians (cf. Jn 13:35), and this is the sign which Brothers offer. This love must be the criterion of discernment in each community of Brothers, above and beyond the effectiveness of their work. It is easy to see how, in the founding period of each of the Institutes of Brothers, brotherly love is signaled as the core of the initiative, and they explicitly take on the ideal of the first Christians, to be “of one heart and one soul” (Acts 4:32). From this standpoint they organize their apostolic action, aware that this consists in transmitting what the Brothers have previously lived in community. Their brotherhood will create brotherhood, and the mission of the Brothers is characterized from the beginning as one of being in communion and creating communion. 25. The prophetic experience of fraternity65 on the part of the Brothers is accompanied by a commitment to take on the lifestyle of Jesus. Consecrated celibacy allows them to live community life fully and to be brothers to all, rather than living an exclusive love. Poverty, the choosing of a moderate and simple lifestyle, means sharing goods in order to experience fraternal communion with others66. And obedience, by which all come together in the common project, “in the same witness and the same mission, while respecting the diversity of gifts and individual personalities”67. This prophetic experience requires an initial break with the place of origin, with family, friends and other people, only to regain them later, being deeply part of a new family, in a new framework of universal brotherhood. The community of Brothers lives its prophetic mission counter-culturally, because its lifestyle, according to the Gospel, is opposed to what the world promotes. The community of Brothers is a “brotherhood born of the Spirit, of the interior freedom of those who put their trust in God despite the human limitations of those who represent him”68. For that reason it is a place of multiple commitments, of mutual interdependence, of harmony and solidarity that are open and reach out, in a demanding way of life, in the discernment of their lifestyle in the light of the Gospel. It should not be forgotten, however, that community is a fragile sign: it needs constant renewal; it must be lived on the path to holiness and with an evangelical dynamism that enlivens and constantly remakes the structures. 26. At the beginning of his vocational experience (cf Acts 22:3-21) the Apostle Paul asks, “What should I do, Lord?” The question signals the radical change of attitude which has occurred in him, having left his own path to follow that of Jesus. The answer will not be found in the exact fulfillment of the law and the traditions of the Synagogue, but rather in his listening to people, his reflection on daily events and his contemplation of the Word. Religious Brothers, in facing the present, have to risk asking the same question as Paul: “What should I do, Lord?” but this question is only sincere when preceded by the willingness to “get up”, because that is the first response required (cf Acts 22:10.16). In other words, fidelity to the present time requires personal willingness to change and to be disturbed. Without it, there is little value in renewing structures. A Brother does not ask the question of himself but directs his question to the Lord Jesus because he wants to know and do His will. He will need to be a contemplative, to be able to find Him in the people and in daily events in the light of the Word. This enlightenment allows the Brother to interpret daily life with the heart of God and to live every moment as a time of grace and salvation. Consecrated life, like all forms of Christian life, is a quest for perfection in love69. The Brother’s vocation and his commitment to be memory of this obligation for all is also the motive for a greater effort70. In this search they have to be very attentive to the erosion of fraternal life in community. There are many factors that tend to destroy it if the Brothers do not work at it daily and do not repair the damages or frictions which occur. Part of the conversion process is going back continually to basics, to their prophetic mission in the Church: living brotherhood as a gift from God and strengthening it with God’s help and the commitment of the Brothers, within the community and also outwards from the community. 27. Two Gospel images show us the meaning of the mission of the Brother. One is Jesus’ compassion on the multitude, “because they seemed to be like sheep without a shepherd” (Mk 6:34). Jesus amply satisfies them with the bread of the Word and, moved by compassion, he asks his disciples to also distribute the ordinary bread of life: “Give them something to eat” (Mk 6:37). Throughout the Gospel Jesus’ concern to alleviate the suffering and meet the needs of people is well known, to the point of identifying himself with the needy and warning that only those who reach out to help them will inherit the Kingdom he promised. Likewise, the mission that his disciples are entrusted with, when being sent to evangelize, refers not only to proclaiming the spiritual message but also to liberation from what oppresses the people and their human development71, because “between evangelization and human advancement – development and liberation – there are in fact profound links”72. Throughout its history, the Church has taken very seriously Jesus’ command: “Give them something to eat”. Its evangelizing activity has consistently been linked to the distribution of human bread in its various forms: food, health, freedom, culture, meaning of life, etc. In particular, the history of consecrated life portrays this effort to make the Good News of the Kingdom a reality. The Brother’s mission follows this same movement presented by the two icons just contemplated. On the one hand, it is the fruit of a heart that is open to suffering with the needs and miseries of humanity. The Brother experiences in them the call of Christ who sends him to alleviate their hunger in many forms; his charism makes him particularly sensitive to some of them. But it is not enough. A Brother, whose vocation ultimately is identified with the Son of Man, feels compelled to be like him, brother of the least ones. This is how the gift of brotherhood he has received and is living in community now is shared in the mission. It is a gift whose ultimate recipients are the little brothers with whom Christ has identified. The mission is not “what he does” but rather his very life itself made communion with the least. “If my gift is not to prove a source of humiliation, I must give to others not just something that is my own, but my very self; I must be personally present in my gift”73. 28. “… Religious Brothers provide valuable services of various kinds, inside or outside the community, participating in this way in the mission of proclaiming the Gospel and bearing witness to it with charity in everyday life. Indeed, some of these services can be considered ecclesial ministries, granted by legitimate authority”74. These services “are all a participation in Jesus Christ’s own ministry as the Good Shepherd who lays down his life for the sheep (cf. Jn 10:11), the humble servant who gives himself without reserve for the salvation of all (cf. Mk 10:45 )”75. The image of the Good Shepherd, like the image of the Master wrapped in a towel, washing the feet of his disciples, speaks not of power but of service, of love and sacrifice to the point of giving one’s life. Thus a Brother should understand his service, whatever the specific functions assigned to him, in complementarity with his brothers. Among the services and ministries performed by Brothers, some are more related to the internal life of the Church, while others highlight its missionary character. Some are dedicated to more spiritual tasks such as the service of the Word of God and the liturgy; others make manifest the Church’s concern for the material wellbeing of people, as the power of the Spirit for the healing and transformation of the world. In any case, the mission of the Brother is not confined to the activity which he performs, even when it is apostolic. Mission is the work of evangelization in its most global sense. “Evangelizing is in fact the grace and vocation proper to the Church, her deepest identity. She exists in order to evangelize”76. The same has to be said of consecrated life and specifically the Religious Brother: “The task of devoting themselves wholly to “mission” is therefore included in their call… Indeed, more than in external works, the mission consists in making Christ present to the world through personal witness. This is the challenge, this is the primary task of the consecrated life! Consecrated persons are “in mission” by virtue of their very consecration, to which they bear witness in accordance with the ideal of their Institute.”77. On this intimate relationship between mission and consecration is built the unity of the life of a Religious, who is committed to the mission by his consecration and who lives his consecration in the mission. Activities, even the apostolic ones, may vary or even disappear because of illness or old age, but the mission always remains. The work of evangelization, lived and invigorated by each specific charism, is the very raison d’être of the Brother’s life and what gives meaning to his consecration. Like Jesus, he has to be able to say: “for their sake I consecrate myself” (Jn 17:19). It is, therefore, not a question of task but of identity, “I am a mission on this earth; that is the reason why I am here in this world. We have to regard ourselves as sealed, even branded, by this mission of bringing light, blessing, enlivening, raising up, healing and freeing.”78 The minister is the whole person of the Brother: consecrated, member of a community, identified with the mission. All of him assumes the privilege and responsibility of representing the Church to the Good Shepherd who gives his life for his sheep. 29. The thirst for spirituality is clearly evident in today’s society, but tends to be smothered in a multiplicity of substitutes. Just as Philip spoke to Nathanael, the Brother rushes to announce the discovery of the person who responds to the deepest longings of the human heart; and faced with the disbelief of the speaker, he has to say: “Come and see” (cf. Jn 1:45-46). It is the same invitation extended by the Samaritan woman to her people after finding the source of living water that Jesus offered, “Come and see a man who told me everything I have done. Could this be the Christ?” (Jn. 4:29). Brothers offer themselves as guides in the search for God79, aware of their own inconsistencies, but able to accompany their contemporaries on their faith journey. At the community level, the Brothers plan their communities to be schools of true evangelical spirituality80, and they offer them as privileged places where the roads leading to God are experienced81. They are called, then, as communities, to invite people to prayer, to share the search for and the experience of God, to facilitate widespread reading of Scripture and to deepen the dialogue between faith and culture. Contemplative communities focus their mission on this presentation of the sources. These communities are a powerful sign which question our society which is alienated from God. They are meeting places for young people and adults in search of the deeper meaning of their lives. The phenomenon of spiritual awakening and the attraction of young people to praying communities of an ecumenical nature such as Taizé, or other Catholic monastic and convent communities of both men and women, is no coincidence. As Saint Peter invites us (1 Peter 3:15), all Brothers, whatever their specific mission, must take seriously their being witnesses of the hope they carry within, They are called to be expressions of hope, being present in situations of pain and misery, demonstrating that the tenderness of God knows no boundaries, that the resurrection of Jesus is the pledge of victory, that the God of life will have the last word over pain and death, that on the last day God will wipe away all tears (Apoc. 7:17) and we will all live as brothers and sisters. 30. The charisms of the Institutes of Brothers often respond to this invitation of Jesus: “Let us cross to the other side” (Mk. 4:35). The Gospel passage that Mark conveys (Mk. 4:35–5:20) shows Jesus and his disciples traveling deep into pagan lands to announce the message of the Kingdom. It reveals a typical situation of Church life: in the face of the temptation to withdraw into its own space, the Church is urged by the Master to cross all frontiers. Nothing human is alien for it, and any human situation will always be a potential setting for the Church, an appropriate place for the proclamation of the Good News of the Kingdom. The search for the one who is alienated, the foreigner, the lost one, the one from a different culture, is a strong concern in the origins of the Church and is repeated as a powerful echo in the beginning of Religious Institutes. In the Acts of the Apostles the expression “the ends of the earth” indicates the place where the disciples of Jesus have to go to proclaim the Gospel: “You will be my witnesses… to the ends of the earth” (Acts 1:8). Religious Brothers, encouraged by their charisms, accept this invitation. Where are the frontiers today? They no longer coincide with remote locations but rather with marginal situations, the peripheries of our world. The frontiers are now in impoverished countries, in developing nations and also in deprived areas of developed countries. The frontiers coincide with the dramatic reality that so many men and women live in situations marked by migration, hunger, injustice, indifference and lack of sensitivity to the pain of others, superficiality and the loss of religious and human values. The vocation of the Brother, authentically lived and embodied in this reality, acquires a wonderful meaning. To be drawn to the frontiers means a preferential option for the poor, for those in a situation of urgent need82. This option is required of all the disciples of Christ, because it belongs to the essence of the Gospel83. Indeed, that is the sign given by Jesus when asked if he is the expected one (cf. Mt 11:2-6). Consecrated persons, who have made a public profession to have their lives shaped by Jesus, are called to be coherent in their commitment to always live for the poor and, to the extent that their charism demands, with the poor and like the poor. The Gospel of Luke provides the Religious Brother with an icon with which to “look at himself” and be challenged in his search for his estranged brother. This is the Good Samaritan (Lk 10:30- 37). The compassionate man of Samaria, who becomes neighbor and brother to the one who has fallen, is a sign of the merciful love of the Father. 31. Many Religious Brothers carry out their mission exercising a secular profession, whether it is in the health service, education, assistance to immigrants, the accompaniment of children and adolescents at risk, etc. They thereby give witness that their commitment to the Kingdom also implies the effort to build, in the here and now, a more human and inhabitable world, and that the love of Christ is linked to love of humanity, especially its weakest and neediest members. Today more than ever, the world needs consecrated persons who, from the heart of secular realities and of human life itself, bear witness to knowing and loving the God of life. We refer here, firstly, to the manual labor that many Brothers carry out. 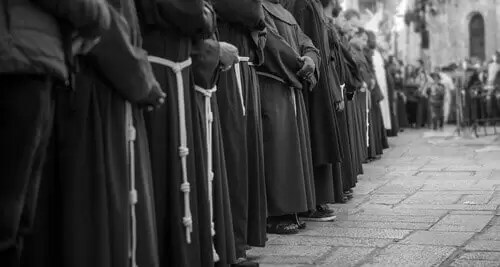 The Brother Monks, especially in Benedictine monasteries, were instrumental in the West, in the restoration of the dignity and the positive value of manual labor, which even today in some cultures is considered suited only to people of lower rank. Through manual labor, Religious Brothers give witness to the sublime value of work, by which humanity cooperates with God in perfecting the wonderful work of creation; they become neighbors to their simplest brothers and identify with Jesus, brother and worker. The Institutes of Brothers whose mission is associated with social promotion and defending human rights in the various fields of marginalization, of human frailty or development of the person, offer prophetic signs of a Kingdom which seeks the integral salvation of every human being. Their insertion in these tasks and environments is preferably communitarian. They thus bear witness as a fraternal community whose cohesion is based on the One who has called and sent them. Even when, by age or other circumstances, the Brothers cannot engage in professional activities, the presence of the consecrated community in this context is a sign that shows the way and points to a horizon which gives meaning. The Kingdom of God is always among us. It is built here and it is always beyond, because it exceeds any human achievement. It is the work of the Spirit. This eschatological tension is personalized and represented in the consecration and in the person of the Brother, and is made visible especially in the community of Brothers. 32. How can Brothers today be a recognizable face of the covenant, in continuity with the ministry of the Servant of Yahweh (cf Is 42:6), and in fidelity to the prophetic vocation received from the Lord? How can they continue being for the entire Church a living and challenging memory of Jesus who serves, who washes feet and who loves to the point of giving his life? Can they experience and appreciate his message, that which the Church expects and requires of them, the message of brotherhood? In short, what does being Brothers today imply? The answer to these questions is not easy or simple, due to the differences between the many Religious Institutes and the diverse situations of religious life on different continents. The life of the Brothers is a story, a story of salvation for their contemporaries, and among them, especially for the poorest. “We may not always be able to reflect adequately the beauty of the Gospel, but there is one sign which we should never lack: the option for those who are least, those whom society discards.”85 A characteristic of Brothers is their concern about being a gift of God the Father for those to whom they have been sent. They are bearers of the love that goes from the Father to the Son and from the Son to his brothers: “As the Father has loved me, so have I loved you. Abide in my love” (Jn 15:9). This abiding which is asked of them has an active dynamism, which is love. 33. The question of what it means to be a Brother today presumes the following: Who is my brother? And the parable of the Good Samaritan reminds us of this other one: For whom or to whom do we become brothers? The answer for Religious Brothers is clear: preferably those who most need their solidarity and who are identified by their founding charism. To give vitality and realism to the story, Brothers are called to let themselves be inspired by a series of biblical, founding and contemporary icons, which can better open their daily lives to the mystery of the love and covenant revealed by the Father, the Son and the Holy Spirit. The first two chapters of this reflection are peppered with biblical images from Moses before the burning bush and the Servant of Yahweh, the “covenant of the people”, to Paul fallen on the road to Damascus. Jesus is the central icon, who invites us to be memory of his love. This set of images together gives us the great story of the history of salvation in which the Brothers are called to act, cooperating in the saving work of God. These biblical icons have to be joined, firstly, with the icons of the foundational period of each Institute which remind the Brothers of the initial fire that they need to recover. And secondly, with the icons that convey the voice of the Spirit today: the faces of Brothers who in recent times have given their lives, even under circumstances of martyrdom, in places of social or religious conflict; and also the faces of children, youth, adults and older people who now live with dignity thanks to the support and the close presence of Religious Brothers. There are many more faces still waiting for the Good Samaritan to approach them, to be their brother and to give them life. With their eyes they beg of the Brother those gifts he has received as a mediator and which are destined for them. They are inviting Religious Brothers today, whatever their age, to compose a story of grace, to live with passion for Christ and for humanity. Concern for their own survival, so that the story of salvation may continue to be written, is a fair one, but much more important is the desire to give one’s life, to be buried like the grain of wheat, knowing that God will produce a hundredfold in the way He sees fit. 34. The story of the Brother today begins to be written in initial formation: it is during this period that a candidate to this lifestyle becomes aware of the experience of the Servant: “The Lord called me when I was in the womb, before my birth he had pronounced my name… I am honored in the eyes of the Lord, and God is my strength “(Is. 49:1,5). Well-grounded in the free initiative of God and the personal experience of his gratuitous love86, the person in formation begins to grow in a sense of belonging to the People of God, from which and for which he has been chosen. A proper study of the ecclesiology of communion will help him to relate to people who follow the various forms of life of which Church life consists.87 It will also encourage him to experience himself as brother with all the brothers and sisters who form the People of God. He can also discover and appreciate his own gifts, not as something that separates him from or raises him above others, but as the capacity he has received to contribute something specific to the growth of the Body of Christ and its mission in the world. “Everyone in the Church is consecrated in Baptism and Confirmation”88. Deepening this common underpinning and reading it from the specific perspective of the founding charism, one comes to discover the meaning of the consecration of the Religious Brother. The charismatic theological intuition underlying each one’s vocation must be borne in mind during initial formation. This intuition reveals a specific way of living the gospel through a special consecration rooted in baptismal consecration and the service of a particular mission. 35. Brothers live their vocation in today’s world in different ways: some with some a degree of disappointment and frustration, others with loyalty, peace, joy and hope. Ongoing formation is necessary to encourage some, to keep others going and to give everyone the chance to live the present as a time of grace and salvation (cf. 2 Cor 6:2). Today, more than ever, it is an intrinsic requirement of religious consecration89 and needs to be scheduled in each Institute in as precise and systematic a plan as possible. The ongoing formation of Brothers is shaped in such a way that they can relive in our time the journey of the founders; discover and apply in the present the dynamism that prompted them to launch a venture of evangelization; reinterpret the foundational charism in the light of current challenges and possibilities, discover it as a root and prophecy and let it inspire them to respond to the problems of the present. The goal of lifelong learning is to provide resources for living consecrated life in the world and in the Church today, as well as to provide the criteria that will guide the presence of Brothers in the mission field. This formation should guide them to make their own the values that accompany their action. It should be presented as a process of communal discernment so as to bring about change in the whole community and not just in isolated individuals. Where possible, formation ought to be shared not only with members of the Institute but with people from other states of life who share the same charism. It will also be very helpful to carry out a good deal of formation in coordination with other related charismatic families without neglecting the specific features of each one’s vocation. 36. A particular case is the continuing formation of older Brothers, active members in creating the common story of salvation. Many Religious Brothers carry out their mission in the exercise of secular professions such as education or health. They need an advanced awareness in order to avoid the possibility that retirement from their job might lead to religious retirement. There is no retirement in the evangelizing mission; one simply participates in the mission in different ways. One way, and a very important one, is supporting the common mission with prayer and sacrifice. Another way is through small services that can be offered depending on the person’s health, and also being witnesses to and promoters of gratuitous service. The contribution expected of older people is not so much the performance of specific tasks but primarily knowing how to be in the community as teachers of life and hope, willing to be companions on the journey and to support those most involved in the external tasks of the mission when they are tired. In that way they contribute to the community of service so that it can become the prophetic sign90 of faith, love and hope that the whole of society needs. The prophecy of hospitality as openness and acceptance of the other, the stranger, the foreigner, the one from a different religion, race or culture. It is an essential element of human coexistence in the face of intolerance, exclusion or the lack of dialogue. The prophecy of the meaning of life. The service of dialogue and gentle listening to which many religious devote much of their time helps people to discover the essential, in the face of the vacuum that exists in the welfare of society. The prophecy of the affirmation of feminine values in the history of humanity. Female religious have a main role in providing the feminine vision of life, thereby opening new horizons for evangelization in general. Religious Brothers contribute to deepening this prophetic aspect with their fraternal support and their appreciation of the presence of women, religious and lay, in evangelization. The prophecy of the care and protection of life, of the integrity of creation. There are religious men and women who risk their lives by denouncing practices and policies that threaten human life and its habitat. Others devote much of their time and energy to manual labor for the conservation of nature. With their consecration each one signals in different ways the meaning and spiritual value of the mission of preserving our world for future generations. The prophecy of the wise use of new technologies in order to place them at the service of communication, to democratize information to include the benefit for the most disadvantaged, and to make these technologies useful instruments in the task of evangelization. The founding charisms born with the Religious Orders and Congregations now take the form of rivers watering the surface of the Church and extending far beyond it. The faithful come to their shores from different states of life to drink from their waters and to participate in the mission of the Church from the constantly renewed inspiration and vigor of such charisms92. Laity and religious, men or women, and priests are united together in a charismatic family to revive the charism that has given rise to this family, to incarnate together the Gospel face that the charism reveals and to serve together in the same Church mission, which is no longer just the mission of a particular Institute. The Religious Brother finds in his charismatic family an environment, conducive to the development of his identity. In such an environment the Brothers share the experience of communion and promote a spirituality of communion, being the true blood which gives life to the family members and which extends to the whole Church93 from them. In the charismatic family, Religious Brothers place themselves together with other Christians and in accord with them. It is with them that the Brothers build a fraternity for the mission, motivated by the foundational charism; for them they are signs of that same brotherhood that they are called to live in consecrated life. 39. New wine needs new wineskins. It is the responsibility of the whole Church to ensure that this new wine not only is not lost, but can mature in quality. Institutes of Brothers are urged to develop new structures and initial and continuing formation programs which can help new candidates and current members to rediscover and value their identity in the new ecclesial and social context. Those Institutes that are called “mixed” Institutes94, which are referred to in the Apostolic Exhortation Vita Consecrata, and which are formed by religious priests and brothers, are encouraged to make further progress in their aim of establishing among their members a way of relating based on equal dignity, without any differences other than those arising from the diversity of their ministries. In order to facilitate this progress, we expect that the question concerning the jurisdiction of Brothers in those Institutes will be resolved with determination and within an opportune time-frame. The theology of consecrated life is called to develop a profound reflection, especially within Institutes of Brothers themselves, on the religious life of Brothers. Such a reflection will be inspired by an ecclesiology and spirituality of communion, the foundation of the style of religious life that has been developed in the Church in recent centuries in the form of fraternities of service. The superiors and government structures of Institutes must strengthen their resolve to discover signs of new life, to promote and accompany them, and to detect manifestations of the founding charism in the new relationships characteristic of Church-communion. Pastors and the hierarchy of the Church are encouraged to promote knowledge and appreciation of the Religious Brother in the local Churches, which means promoting this vocation, especially in youth ministry, and ensuring that Religious Brothers and Sisters participate actively in the organs of consultation, decision-making and implementation within the local Church. 40. We conclude this reflection on the identity and mission of the Religious Brother, remembering the task given by the Master: “Abide in my love” (Jn 15:9). Brothers need to have this task clearly in mind as they surrender with passion to be Brothers today: “Do not lose the thread of the story”. This thread which weaves through the Brother’s life is the experience of being sent as a sign of the maternal tenderness of God and the fraternal love of Christ; it is the thread that unites all his actions and life events so as to make them a salvation history. When that thread is lost, life is fragmented into anecdotes that do not refer to God and to his Kingdom but become self-referential. In the eagerness to meet the needs of the mission, Brothers may fall victim to the temptation of activism, given that a lot of bread needs to be prepared for the hungry. Activism will quickly empty them of evangelical motivations and prevent them from contemplating God’s work which is being done in their apostolic action. Allowing themselves to be carried away by activism, they end up replacing the search for God and His will with the search for themselves. It is helpful to contemplate the icon which depicts Martha and Mary being visited by Jesus in their home (Lk 10:38-42). The two sisters live in a reciprocal tension. They need each other, but coexistence is not always easy. It is not appropriate to separate them; each one can predominate at one time or another. However one of them is particularly attentive to the meaning and depth of life which the word of Jesus brings: Mary chose “the better part” while Martha “worried and fretted about many things“. The evangelist Luke recounts for us the scene of the two sisters, just after that of the Good Samaritan (Lk 10:30-37), the man who became brother to the other man who needed him. Both icons complement each other’s message and remind the Religious Brother of the essential key to his prophetic identity, that which ensures his permanence in the love of Christ: the Brother is called to be a transmitter in the chain of love and covenant which comes from the Father through Jesus and which he has experienced personally. While performing this function, and so as not to forget that he is only an instrument moved by the Spirit in the work of God, he should always remember the words of Jesus: “Cut off from me you can do nothing” (Jn 15:5). 1 Throughout the document we will preferably use the term proposed in the Apostolic Exhortation Vita Consecrata 60: “The Religious Brother” or simply “the Brother”. Whenever necessary we will use the corresponding term in the plural, because a Brother can only be so in the company of other Brothers, in the context of fraternity, never alone. Being a Brother always implies a relationship, and it is this that we want to emphasize. 2 Cf. John Paul II, Post Synodal Apostolic Exhortation Vita Consecrata (25 March 1996), 60. 3 The latter is the name proposed by the Synod on Consecrated Life (October 1994) and included in the Apostolic Exhortation Vita Consecrata no. 60. 4 John Paul II, Post Synodal Apostolic Exhortation Christifideles Laici (December 30th 1998), 19: “At the Second Vatican Council the Church again proposed this central idea about herself (…) The ecclesiology of communion is a central and fundamental concept in the conciliar documents”. 6 ChL 8; VC 41. 8 Cf. ChL 18; 19. 10 Second Vatican Ecumenical Council, Dogmatic Constitution on the Church Lumen Gentium 9. 12 Cf. ChL 55; VC 31. 14 Cf. Paul VI, Apostolic Exhortation Evangelii Nuntiandi (8 december 1975), 59. 20 VC 33; Cf 39. 22 VC 84. Cf. ib 15; 21; 25; 26; 27; 42; 51; 80;92; 105. 25 John Paul II Apostolic Letter Novo Millennio Ineunte (January 6, 2001), 43. 26 Cf. VC 46, 51; NMI 43. 28 Cf. VC 16; 31. 30 Second Vatican Council, Pastoral Constitution on the Church in the Modern World Gaudium et Spes, 1. 32 Cf. CICLSAL Instruction Starting Afresh from Christ (May 19, 2002), 31. 34 Pope Francis, Apostolic Exhortation (November 24, 2013) Evangelii Gaudium 99. 36 VC 60, quoting the speech of John Paul II at the General Audience, February 22, 1995. 37 Cf. VC 60, NMI 46. 40 Benedict XVI, Encyclical Letter Deus Caritas Est (25 December 2005), 1. 41 Benedict XVI, ibid. 1. 48 Cf. ChL 22; cf LG 10. 52 Cf. VC 46; 51. 54 Cf. CICLSAL, Instruction The service of authority and obedience, 9. 58 CICLSAL, Instruction Fraternal Life in Community, 12. 62 Second Vatican Council, Decree on the Missionary Activity of the Church Ad Gentes, 11.2 and 15.1. 63 Cf. CICLSAL Fraternal Life in Community, 3. 66 Cf. Pope Francis, Message for the celebration of the XLVII World Day of Peace, (January 1, 2014), No. 5. 69 Cf. VC 30; 35. 70 Cf. VC 39; 93. 71 Cf. Mt 10:1; Mk 3:14-15; 6:12-13. 73 Cf. Benedict XVI, Deus Caritas Est, 34. 81 Fraternal Life in Community, 20. 82 Cf. VC 82; cf Evangelii Gaudium 197-201. 83 Cf. Evangelii Gaudium 48-49. 92 Cf. CICLSAL, Starting Afresh from Christ 31.